Dental implants are the man-made replacement for the root of a tooth. It is usually made from the metal titanium, which is naturally biodegradable. According to dental surgeons in London, you must have enough bone mass to support the titanium posts, which are surgically implanted in your jaws. Read on to know more about this modern all on four dental implants treatment to overcome the problem of tooth or teeth loss. Does implants look and feel like the natural molars? Yes, you can rest assured that the implants not only look and feel but also work just as your natural tooth. In fact, it is considered the best solution to tooth loss. How do I maintain and clean the implants? Treat your implants just as your natural teeth. Brushing and flossing are sufficient to maintain cleanliness and hygiene of your implants. In fact, your implants surgeon will provide you with a detailed guideline on the aspect at the right time, without being asked for. How long does the implants last? Before undergoing this modern teeth-loss recovery treatment, it is crucial to find out a reliable dental office that provides the service. You may search in Google, using search strings like “dental implants clinic near me” for the purpose. The surgery to implant the metallic post is little time-consuming. It take usually takes multiple sessions as there needs to be recovery times between stages. Is it possible to get all on four implants on the bottom arch? Yes, it is highly possible. However your oral healthcare expert is more likely to advise you to get the work done at one go. This is because it will reduce the time for surgery, the cost and also the time for recovery. Who’re the ideal candidates for oral implants treatment? 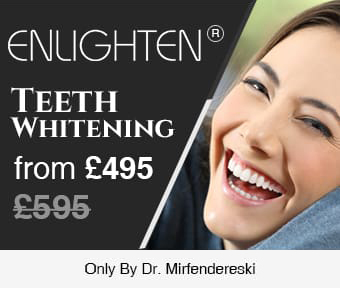 Wimpole Dental Office is a renowned oral health clinic located on Wimpole Street in London. The clinic has an impressive track record in providing successful results to scores of implants surgery cases. For further information about this reliable oral health clinic, please feel free to log into www.wimpoledentaloffice.com. Experts associated with this clinic successfully treat all kinds of implants patients, irrespective of age. However, it is better if you’ve substantial jawbone, standard oral health and do not suffer from chronic diseases like blood sugar.